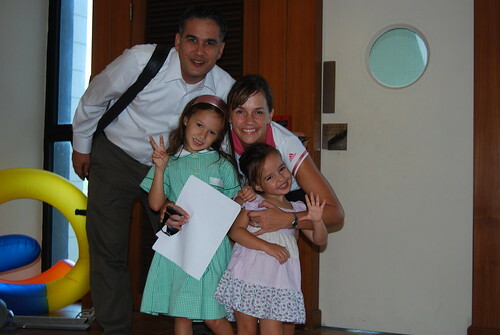 After only a year in Singapore, The Sawin Family moved back to Hong Kong. Singapore was great and we really were just getting settled when we left. I’ll miss the people, the Singlish, the Laksa (the food in general was great/cheap), the easy driving/parking and The American Club. On my last night out with my colleagues from work, I played a tune (the only one I ever play) at the local pub at the office. 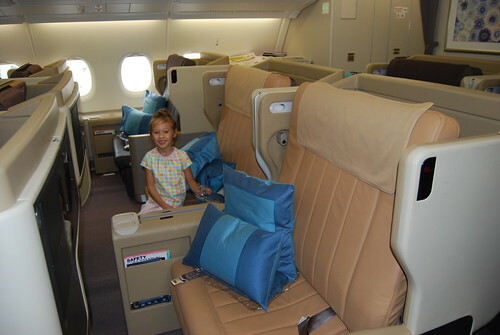 We were lucky enough to take Singapore Airline‘s A380 service to Hong Kong. 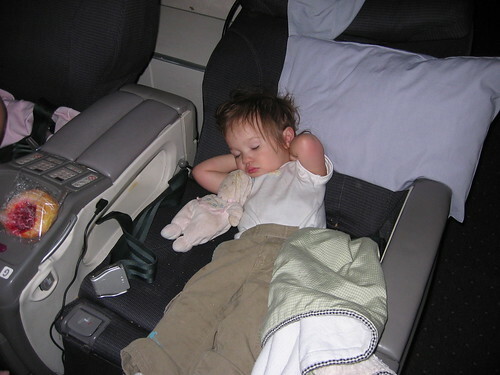 The size of the seats are nuts compared to what we took 4 years earlier on United Airline’s 747. 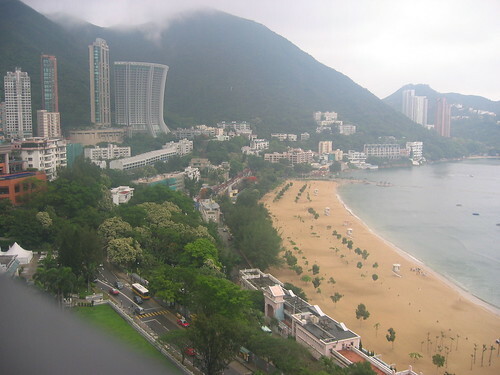 We moved to our new flat on The Peak. The place is nice and Jean and the kids are really happy with it. 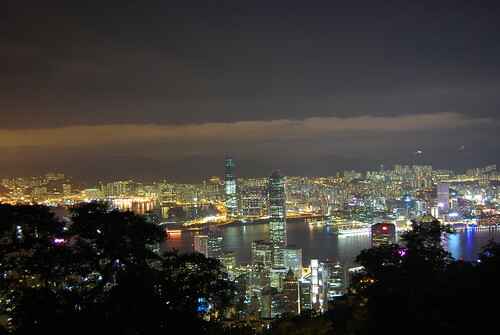 Once again we have new view and this one is as spectacular as our last one in Hong Kong. Both the kids have just started school. Riley goes to Highgate House. 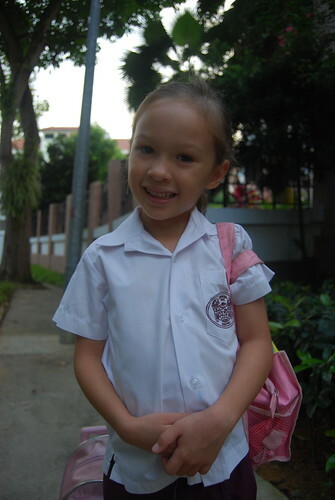 Grace goes to the ESF‘s Peak School. It’s strange that Grace is in the equivalent of the U.S. 1st Grade. Her uniform is cuter than they were in Singapore. Well, The Sawin Family is getting settled now. Our shipment has arrived from Singapore so we have all our “stuff”. Now comes the slow process of organising our home and getting settled. Our domestic helper from Singapore agreed to move to Hong Kong which is great so the kids have some continuity and the adults can get out of the house. It is good to be back in Hong Kong and seeing old friends. This place is such a special place and has a unique buzz about it. Even better that our good friends from Chicago live here and are in the same apartment complex as us. O.K. lah.